High purity. All natural. 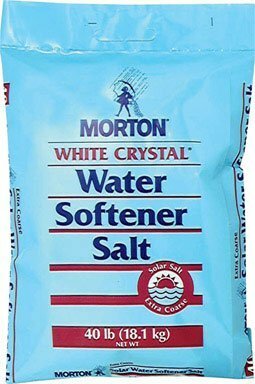 Morton's solar salt is an all natural choice for softening water. Composed of high purity sodium chloride. Helps prevent hard water spots on dishes, household fixtures and appliances. Helps prevent hard water mineral build-up in water heaters and home plumbing. Helps soaps and detergents lather better to work more efficiently for cleaner, brighter and softer laundry.